Located South of Tower Bridge lies The Millers Pub and Restaurant, an intimate dining and drinking space which attracts locals and new visitors alike. Hidden in the more quiet area of Snowfields, it was particularly nice to visit somewhere which seemed much more community-based and less commercialised. Personal touches and old pictures of the building and its area surrounded the four walls, and it was clear there was a strong sense of community within the pub. 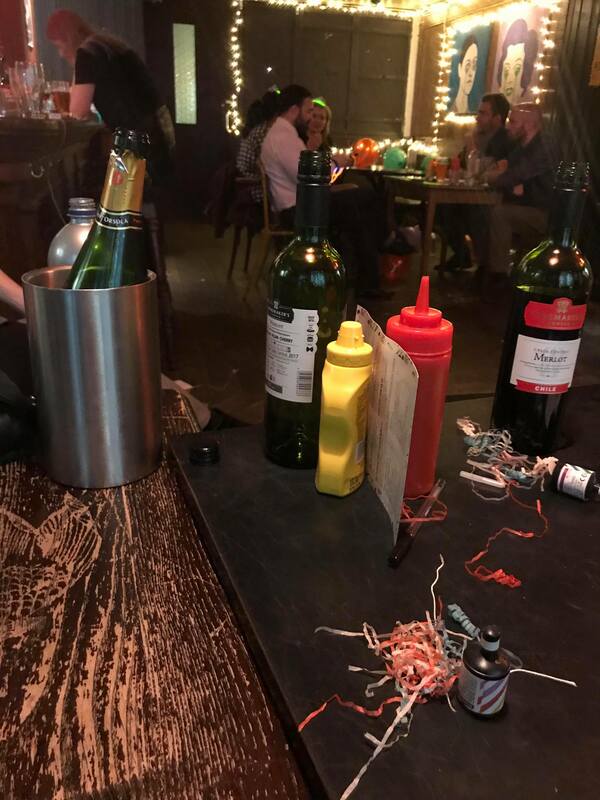 Having visited for a friends birthday, my experience was slightly different, however, in that we were contained in a private room, although I still visited the main bar area numerous times to get served drinks. The pub is rather rustic with wooden beams inside and a large seating area comprised of picnic style benches on the outside, which was popular with the smokers. Spaces between seating areas were large and games such as football table tennis and pool were all inside - all which added to the pub's casual atmosphere and encouragement of fun. Being approximately a 20-minute walk from Tower Bridge, prices here are much cheaper compared to its more central bars and restaurants. Almost all beer and ale is £5, whilst wine by the glass is also £5. Food here is simple and substantial - think burgers, chips and jerk chicken. This place embraces its reputation for pub grub and its simple palate. There are also lighter options such as salads and vegan options available such as the 'Vegan Jerk Bun' - no one misses out! As for the room available to hire, a minimum of 35 people must attend and a request must be made in order to receive a quote. Based on the prices of its food and drink, however, I'd imagine the price isn't too hefty. If you or a friend would like to enquire for a private room hire, you can follow this link. You can also simply browse the menu to begin planning your next outing!